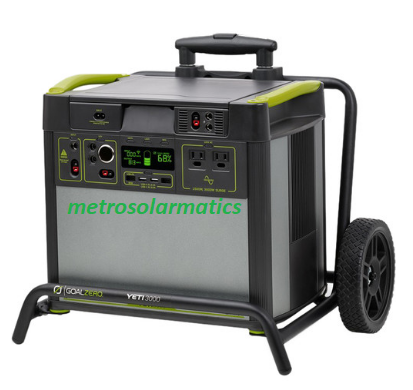 Models 8D-110V and 220V can reliably supply off-grid power to most cabins, small homes, apartments (or several of these simultaneously), or power a mid-sized office, remote field location, small clinic or micro-business. We can assist in configuring a power package that addresses your planned use or energy requirements. (2) 145W Kyocera solar panel w/tempered glass (20 yr. performance guarantee); 1 yr. warranty. 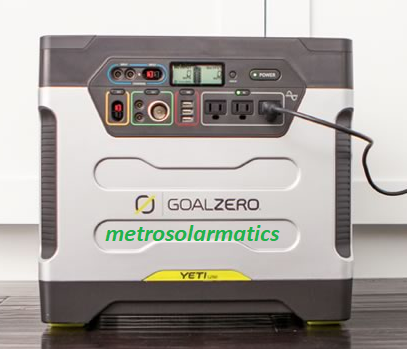 OFF-GRID solutions in remote or unreliable grid environments. - Charles C, Coconut Grove, FL. To determine the actual wattage (power consumption) rating, look for the data plate on your appliance. It typically states input voltage (110-120V or 220-240V), amp/load rating, and/or watts. The voltage tells you if you'll need a SUNRNR110 or SUNRNR220. The watts are really watt-hours (that is, how many watts you'll use every hour, if you run the device at full power constantly). 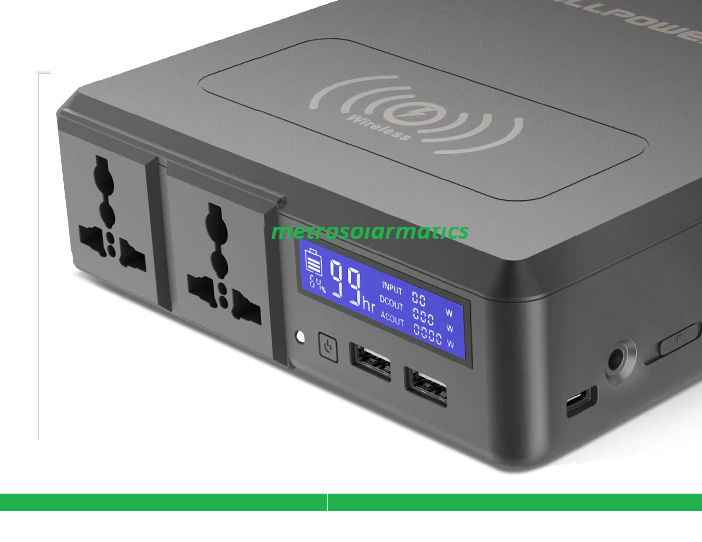 The Appliance watts/amps Calculator we furnish provides you with information on how to determine the watt hours (or amount of energy required to power an appliance) it consumes, if the information is not supplied by the manufacturer. Our Energy Watts/Amps Guide is a table of estimated watts/amps figures for most popular appliances on the market today. Also, we provide examples of different load capacities of a Sunrnr. Remember these are examples only and your particular situation may be different based on the watts/amps rating of the equipment you intend to run, how long you plan to run them for and whether or not you are recharging or replenishing the battery as you drain or use power from it. 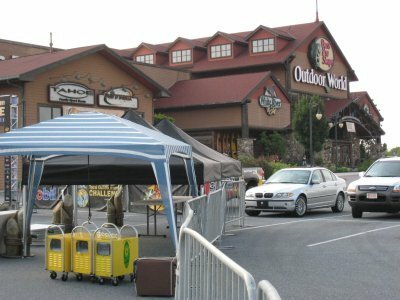 See tips on caring for your solar lights and equipment in the FAQs section. 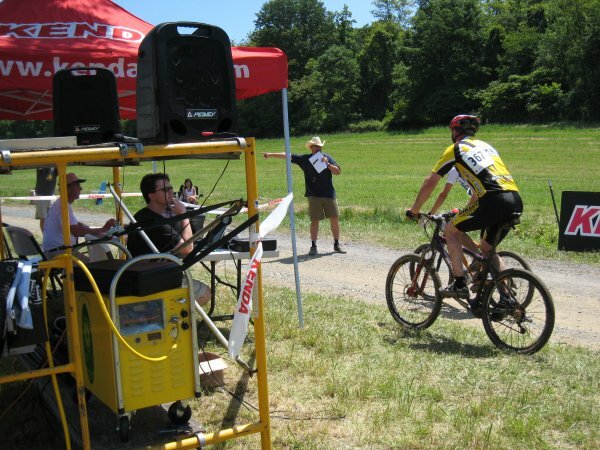 The SUNRNR is ideally suited for environments- homes, outdoor public/private events, construction sites, emergency situations, etc...- where up to a maximum load (in any combination) of 3000W of power is needed to run medium to light heavy equipment/appliances. The battery storage capacity and power generation can be doubled, tripled, etc... with the addition of as many power modules as the situation demands- modules are linked to the SUNRNR in parallel so voltage remains the same and amps/hr. output increases. Also, each power module includes a solar panel. 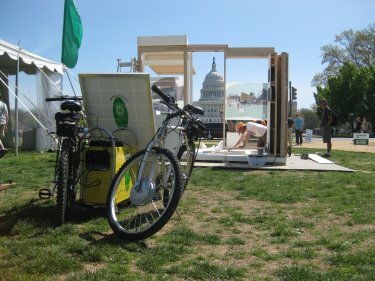 The batteries can be replenished/recharged quicker with the addition of more solar panels (a SUNRNR and a power module have a maximum capacity of 2 solar panels each) or use of the hybrid option- by combining 1 or 2 solar panels (charging at 135W/hr each) and a wind turbine (charging at a maximum 400W/hr). 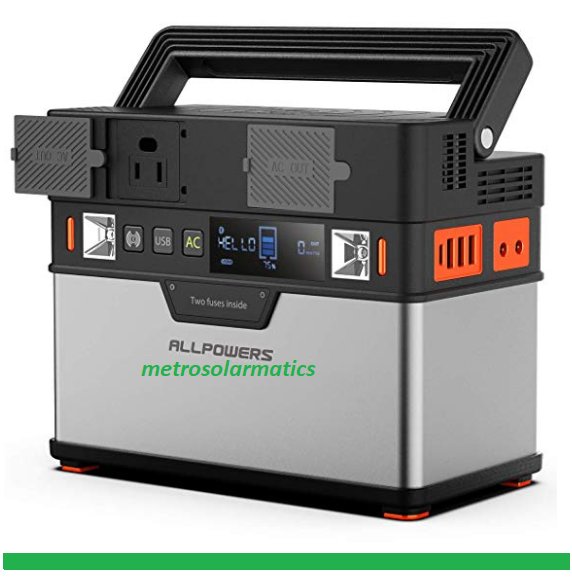 This generator provides electricity whether or not the panels or turbines are connected because it stores energy in the rechargeable battery which may be charged- by the solar panels and or turbine while in use, to extend run times and prolong use. 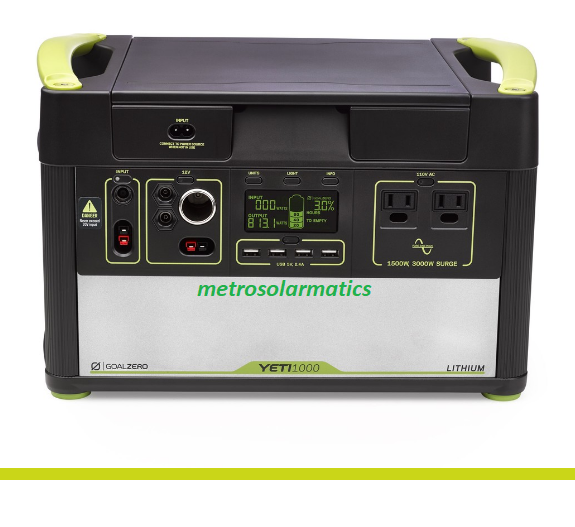 Keeping the battery fully charged will ensure maximum power is available when needed- day, night, bright, cloudy and or windy climate and prolongs its efficiency and longevity. See What Can Sunrnr Run? and FAQs. The outcome is free electric power when you want it, where you want it.